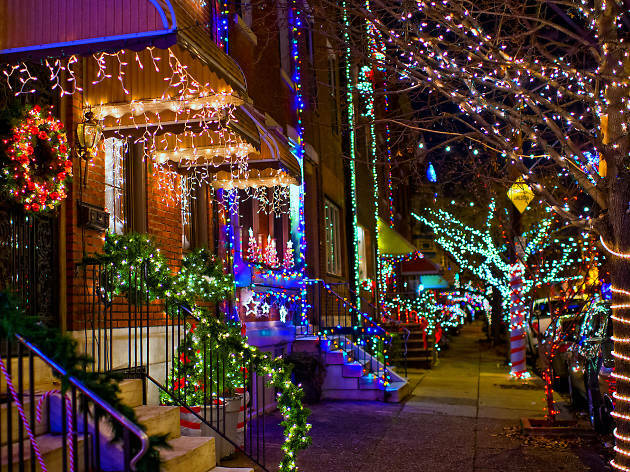 The annual trek to see Christmas lights in Philadelphia is a local holiday tradition that rarely disappoints—mainly because there are so many magnificent displays in and around town. 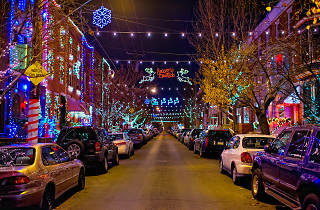 Here, we lay out a dozen of the top places to see Christmas lights in Philadelphia, whether they’re glowing neighborhood affairs or elaborate light shows put on by Philadelphia parks and businesses. Pair your exploration with some of the top Christmas events in Philadelphia such as Christmas Village or Blue Cross RiverRink Winterfest, or as a way to treat yourself after a day of perusing Christmas markets. 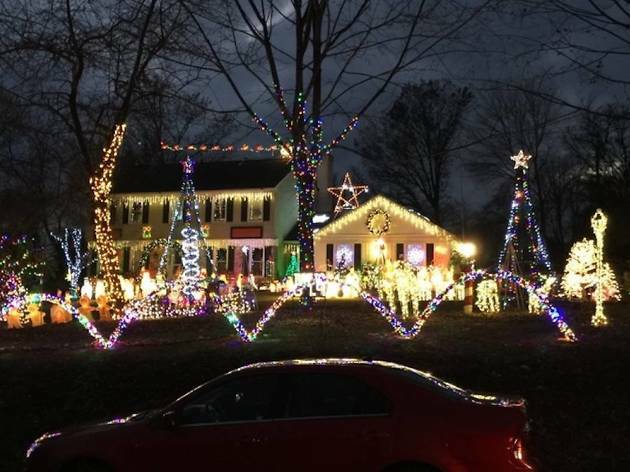 For the most part, the lights stay on from Thanksgiving to New Year’s Eve, so you have plenty of time to bask in the glow. 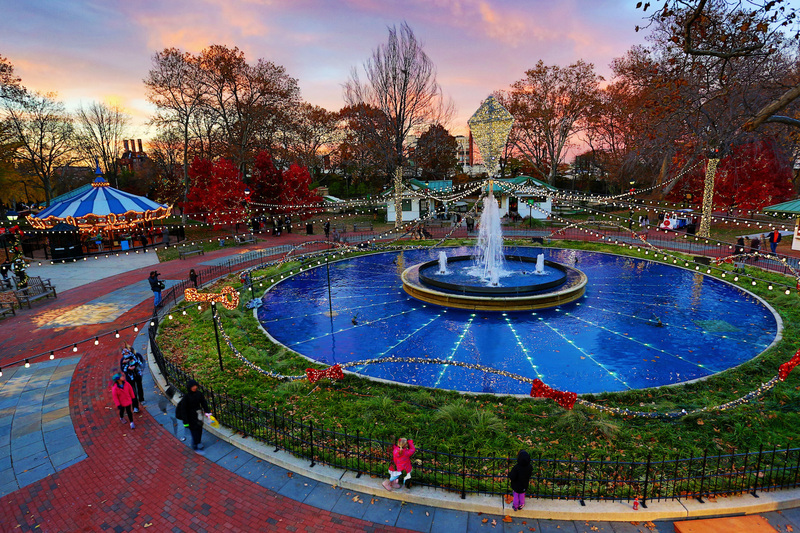 In a homage worthy of its namesake, Franklin Square’s Electrical Spectacle boasts over 50,000 lights synchronized to a holiday music soundtrack sure to give you all the festive feels. The display’s centerpiece is a 12-foot-tall kite—a nod to the experiment Benjamin Franklin allegedly performed there. 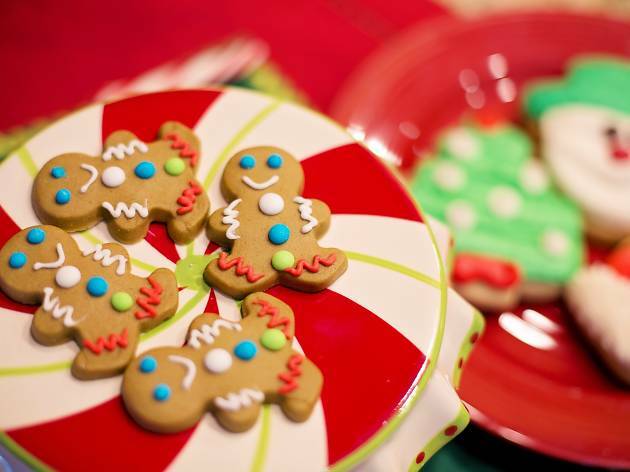 A holiday market, beer garden and seasonal treats will be available during the festival, so make sure you stay awhile. 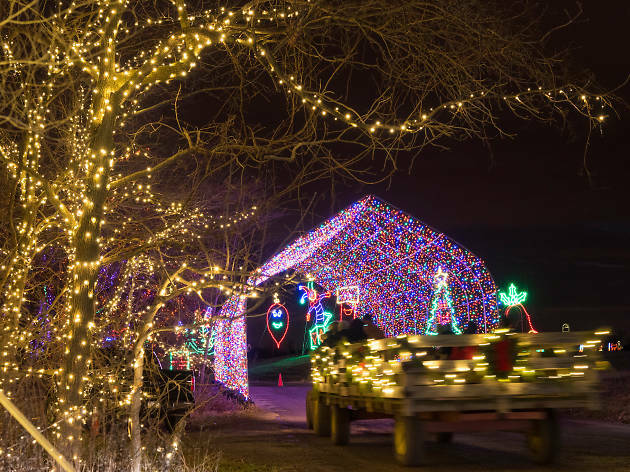 A one-stop holiday shop, Shady Brook Farm offers freshly cut Christmas trees, visits with Santa, marshmallow roasting, and, of course, lights—over 3 million of them. The Grinch, Statue of Liberty and local favorite characters make appearances during the 20-minute light tour, which you can enjoy from the comfort of your car or on a festive wagon ride. 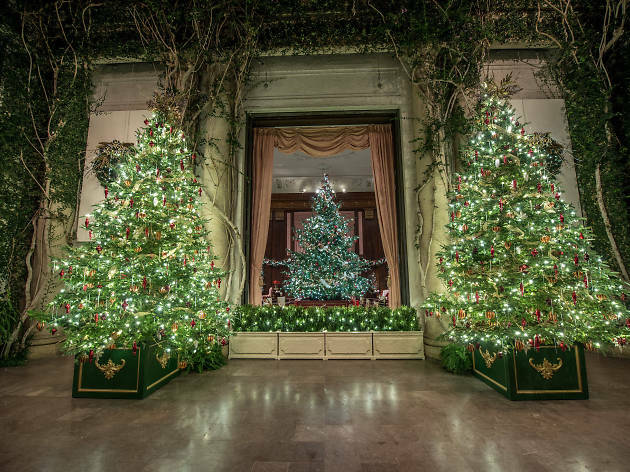 Holiday lights get a luxe upgrade at Longwood Gardens with a French-inspired display inspired by France’s Versailles. Inside the conservatory, you’ll find greenery of all kinds adorned with twinkling lights, crystal ornaments and candied cranberries. 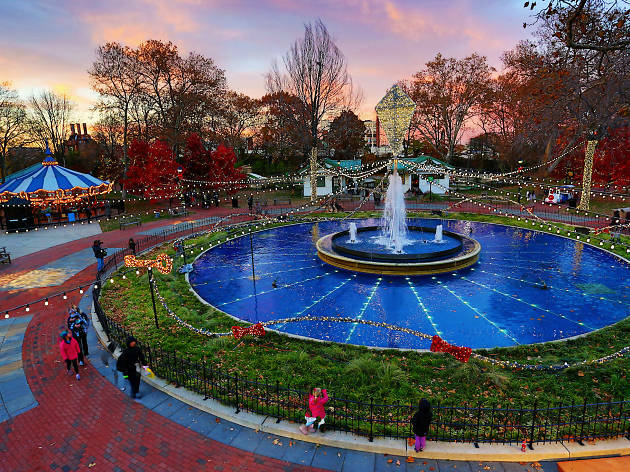 Outside, there’s a similarly grand outfit featuring colorfully lit fountains that “dance” to holiday muisc and a half-million more lights bedecking the gardens’ grounds (with carolers strolling around to boot). 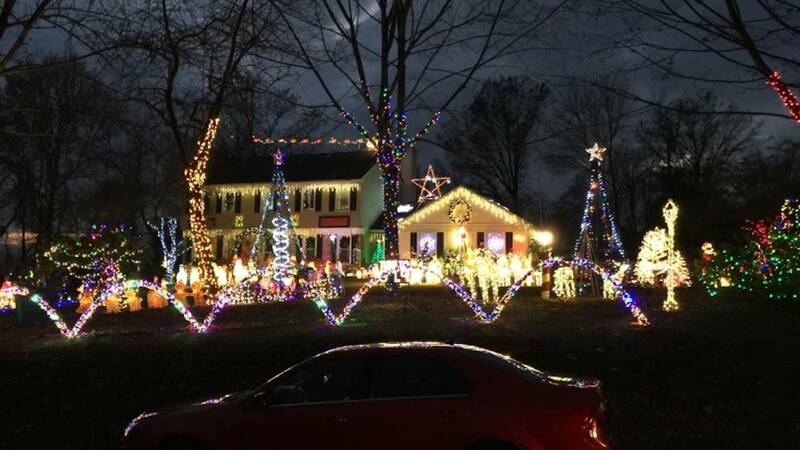 Inspired by the cranky Christmas-loving Clark Griswold in National Lampoon's Christmas Vacation, a West Chester family begins installing their holiday lights in September and works every weekend until Thanksgiving to achieve a holiday spectacle that could probably be seen from the moon. Multiple Christmas trees, stars, arches and snowmen adorn the property, which is also decked out in over 60,000 LED lights. While you’re there, tune your car’s radio to 87.9 to get the low-down on the high-key display. 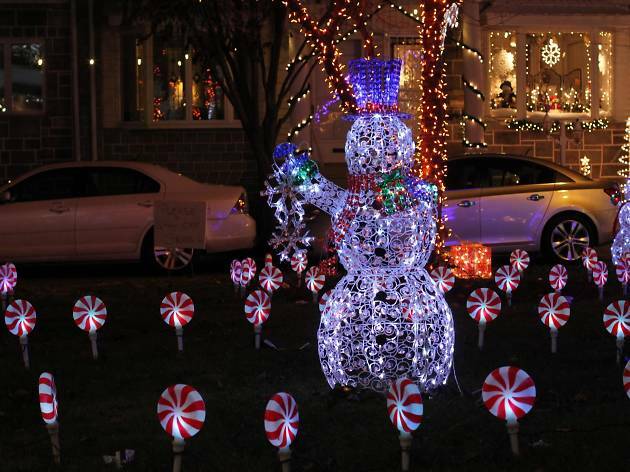 Shelve your Grinch-y feelings toward the ubiquitous cable company for 15 minutes and let yourself revel in this incredible LED light display. 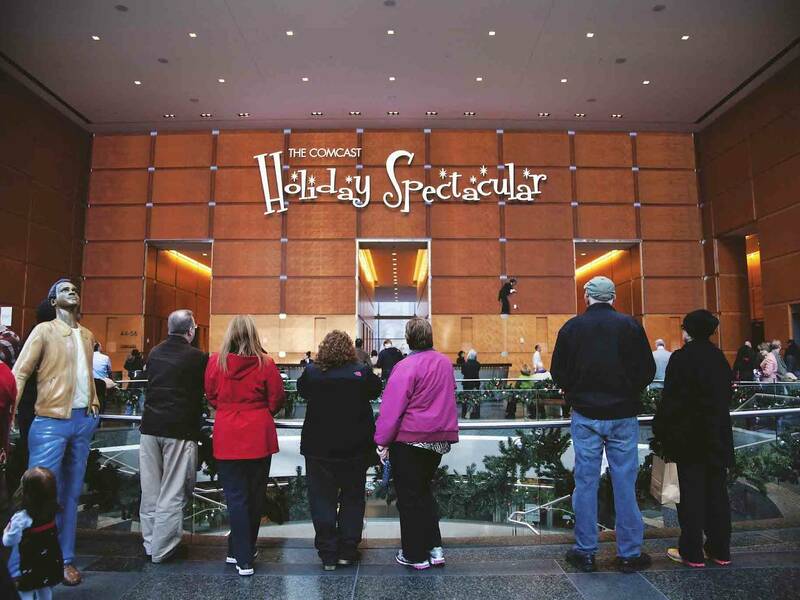 Set against a giant “video experience wall” in the Comcast Center lobby, the presentation features clips from the Pennsylvania Ballet’s Nutcracker performance, festive sing-alongs and animated sleigh rides across the Philadelphia skyline. 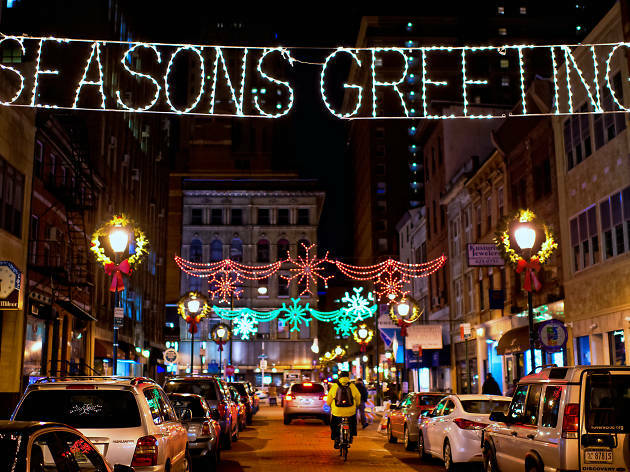 Housed in Macy’s stately Grand Court, this Philly tradition is decked with over 100,000 LED bulbs, a giant Christmas tree and three stories of festive characters, including sugar plum fairies, nutcrackers and Santa Claus. 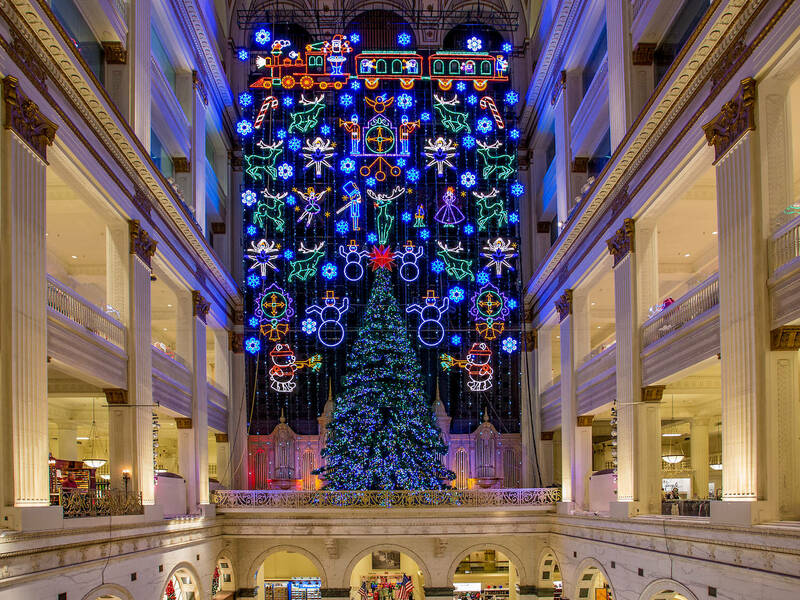 The shows start every two hours throughout the day, accompanied by music from the historic Wanamaker Grand Organ. 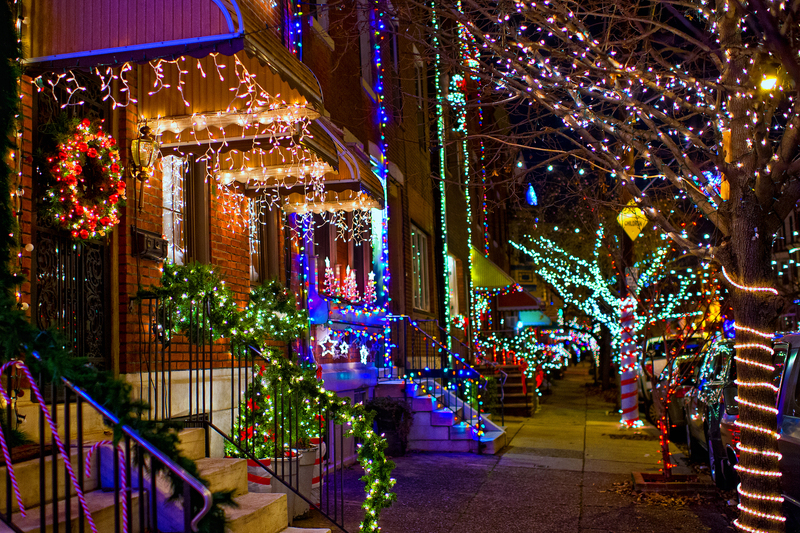 Cruise down the 1600 block of 13th Street where every house, tree and telephone pole is strung up with lights in a dazzling display of community spirit. This a beloved local tradition that’s as South Philly as a Pat’s cheesesteak, but decidedly much better for you. 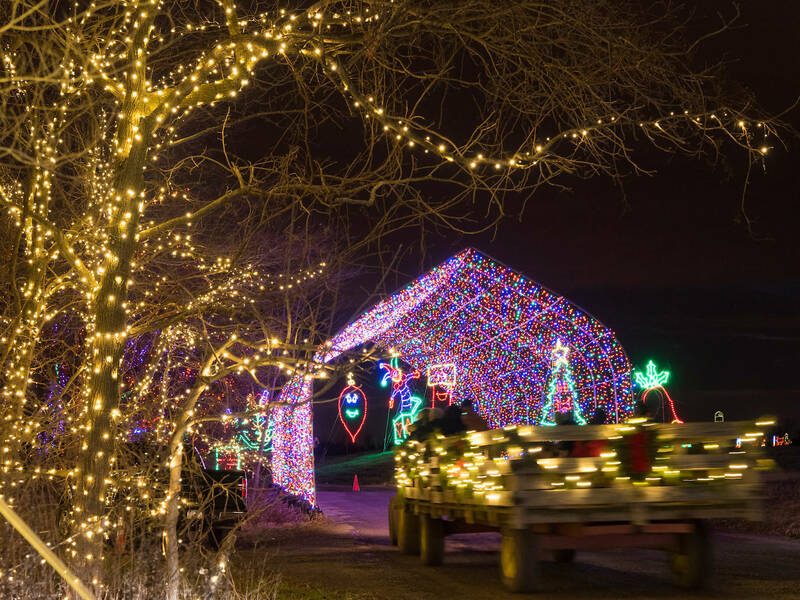 Eager residents begin decking their halls months in advance of the light show’s late-November start date, and switch on the displays every evening until New Year’s. 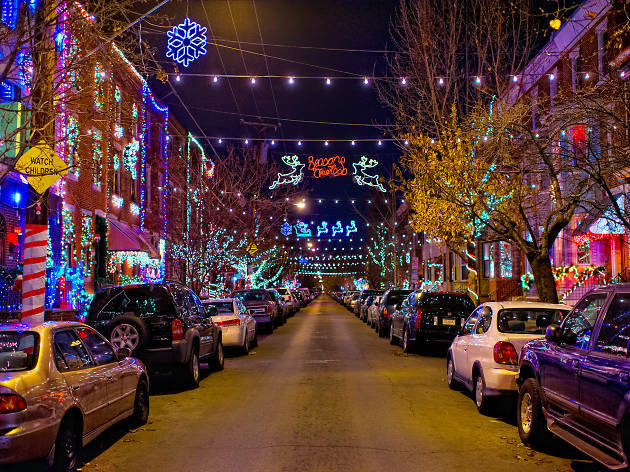 It’s a heart-warming, only-in-Philly kind of experience—and it’s extra AF. 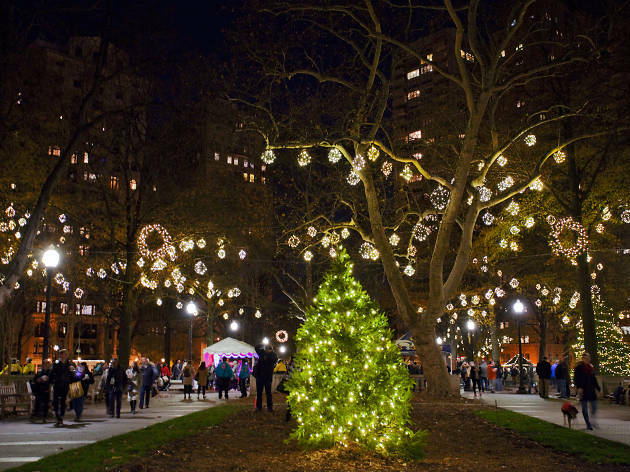 Take a break from your holiday shopping along Rittenhouse Row to ogle twinkling globe lights strung through the trees and a 30-foot Christmas tree in the center of stately Rittenhouse Square. Check out the Christmas tree lighting ceremony on November 28 for Santa, carolers, hot cocoa and upscale treats from Parc, Scarpetta and the Rittenhouse Hotel. 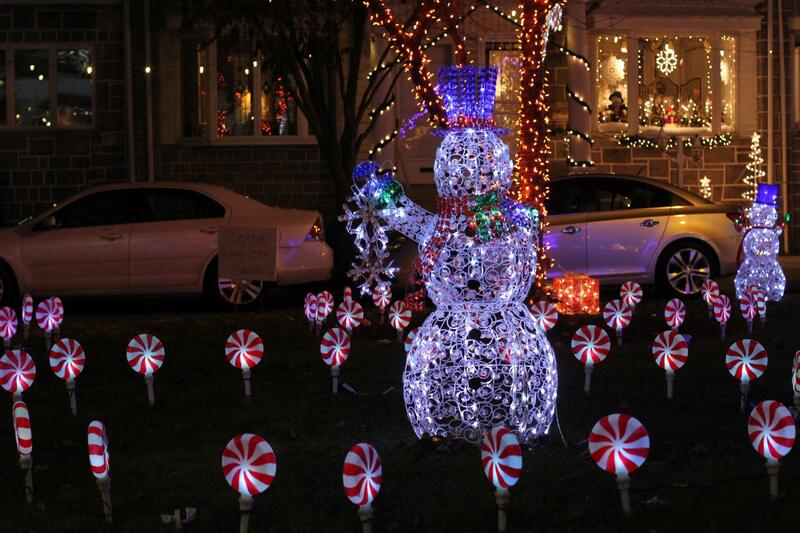 For a truly local holiday light experience, hit up the 2700 block of Smedley Street. 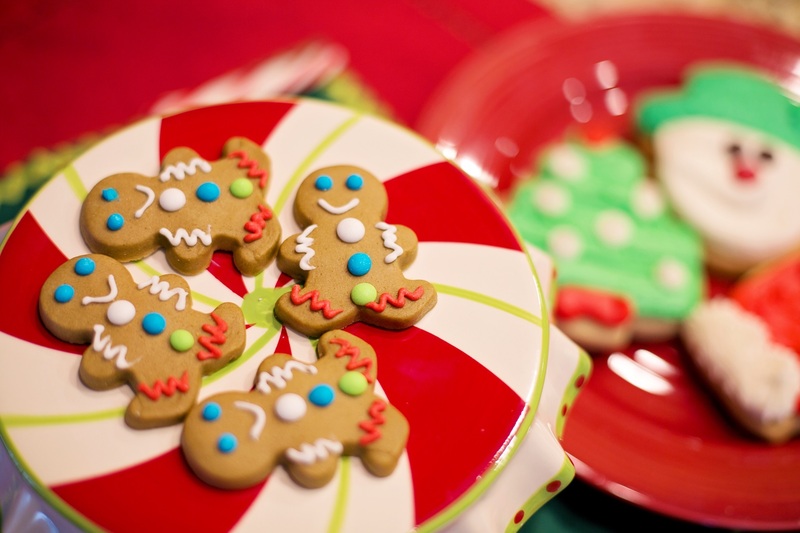 Take a stroll down Candy Cane Lane to check out the neighboring displays of glittering snowmen, twinkling windowpanes and larger-than-life Santas. Keep your eyes peeled, Mayor Jim Kenney has been known to make some visits, too.